The driving force of the most successful digital ad campaigns are quality creatives that draw attention and incentivise conversions, without being annoying or compromising load time. With global digital advertising spend predicted to reach $US223.74 billion this year, advertisers need to take a keen analytical eye to what works (and what doesn’t) when it comes to designing these creatives in order to produce ads with better user experience, higher click-through rates and ROI. Digital marketing and advertising platform firm Choozle has put together an infographic that outlines the key components of an effective creative, including: size, imagery, color scheme, hierarchy of info, and a compelling call-to-action. 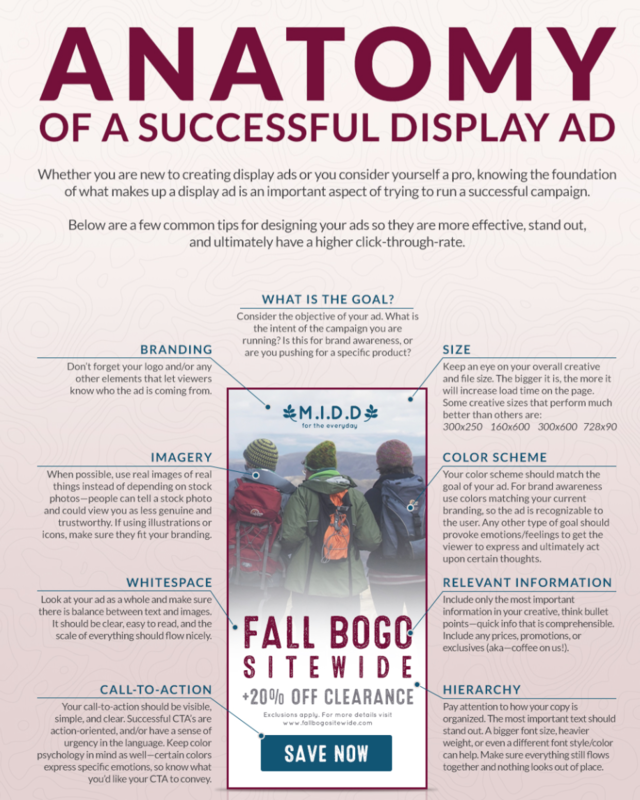 The graphic also calls out questions for advertisers to consider when designing creatives, like how to align aesthetic elements and CTAs with campaign objectives and best practices for tailoring to your unique target audience.